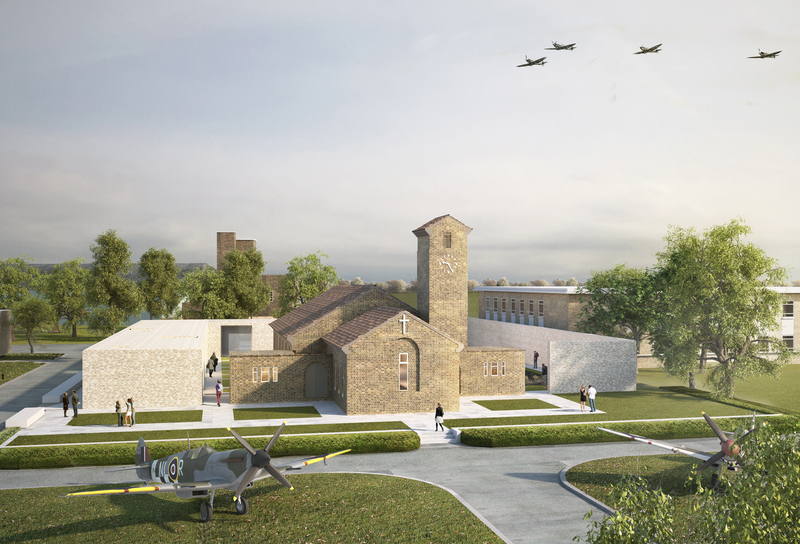 In October 2017, works began on site to develop the site of St George’s RAF Chapel of Remembrance, bringing the chapel together with the long-awaited museum, to create the Biggin Hill Memorial Museum. The project has only been made possible by our funders and supporters. Since 2015, the Biggin Hill Memorial Museum Trust has worked with Bromley Council to raise over £5.3 million to make the museum a reality. Funding has been secured from the National Lottery, HM Treasury and Bromley Council, with support from individual donors and smaller organisations. The museum opened to the public in January 2019. We are looking to realise the second part of our vision at Biggin Hill Memorial Museum by creating a dedicated learning space and memorial wall. Our learning space will allow the museum to fulfil its goal of delivering an accessible learning programme. People of all ages and abilities will have opportunities to engage directly with the collections, to be inspired by the human stories, to reflect, and to enjoy new and special experiences that support wellbeing. Overlooking the courtyard garden and chapel, the learning space will enjoy a quiet and separate space whilst also being at the heart of the museum. The design will maximise the views onto the historic airfield and conversely towards the chapel and garden. It will be a light and airy, multi-faceted space. St George’s RAF Chapel of Remembrance is a memorial to the fighter pilots who lost their lives flying from Biggin Hill sector during the Second World War. The museum has a vision to remember all those who made the ultimate sacrifice at RAF Biggin Hill and its surrounding communities. The proposed memorial wall will frame the Garden of Remembrance, enhancing this contemplative and reflective space for visitors. The wall will commemorate the many diverse people who gave their lives during both the First and Second World Wars at Biggin Hill. The wall will also provide a location for the memorial plaques of those interred in the garden.